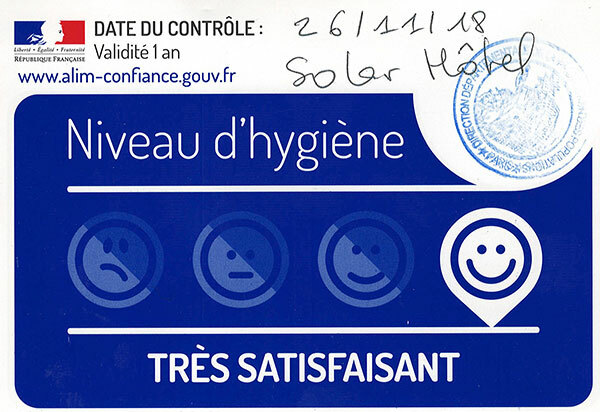 A question or need informations about Solar Budget-Hotel in Paris ? Solar Hôtel, 22 rue Boulard - 75014 Paris (Metro station Denfert-Rochereau - Orly bus direct to Orly airport and RER Denfert-Rochereau direct to airport Roissy Charles-de-Gaulle). The Solar Hotel is the first green budget-hotel, economic and activist in the center of Paris. It was created there is more than 20 years by Franck Laval. Its low cost rooms have been completely renovated in 2014. Address : 22, rue Boulard – 75014 Paris.